Will First Spouse Bill Clinton take the place of a Vice President? Will a Hillary Clinton administration reverse the forty year advance in influence of the vice presidency? 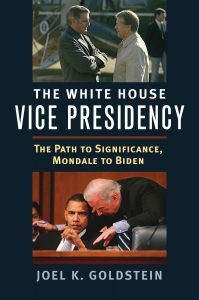 A new article in History News Network by Saint Louis University Professor of Law Joel K. Goldstein, author of The White House Vice Presidency: The Path to Significance, Mondale to Biden, discusses the book’s case for the importance of the modern vice presidency and whether a former president as First Spouse might challenge its role in a new administration. Q: Why did you choose to write about Bill Clinton compared to another president? A: He was the first member of my generation to become president. We were born within a couple of months of one another and were shaped by many of the same events: the Cold War, the Kennedy assassination, the civil rights movement, the draft, Vietnam. His heroes were my heroes: Elvis, JFK, Martin Luther King. So I felt a sort of kinship with Bill Clinton—and Hillary. I was also interested in understanding why they were such polarizing figures. Why the reactions to the Clintons, both pro and con, seemed out of proportion to their actions. How, for example, to account for the hatred that consumed so many of their critics? Sure, they rubbed a lot of people the wrong way by supporting abortion rights, affirmative action, gays in the military, and gender equality. The president’s infidelities understandably upset many. Still, most of their views resided safely in the political mainstream. Indeed, Clinton’s economic and fiscal views made him one of the most conservative Democrats to occupy the White House in the twentieth century. Here was a president who hailed the end of big government; who was more pro-business than pro-labor; who presided over deregulation of the telecommunications and banking industries; approved more corporate mergers than his two predecessors combined; wore his religion on his sleeve; approved drastic cuts in welfare; and was tough on crime. Before he became president, Clinton supported the Gulf War, and, after gaining his footing in the White House, showed himself more willing than many of his Republican critics to deploy American forces abroad. Something other than policy was at work here. The Clintons had become a kind of national Rorschach test upon which people projected their personal hopes and fears, values and attitudes. Critics weren’t alone in projecting onto the Clintons. Ardent supporters were apt to do it as well. How else to explain prominent African Americans like writer Toni Morrison describing Clinton as “the first black president” and “one of us,” even as they deplored Clinton’s support for welfare reform, discriminatory sentencing guidelines, and the death penalty (even in the case of Ricky Ray Rector, a brain-damaged African American inmate in Arkansas). 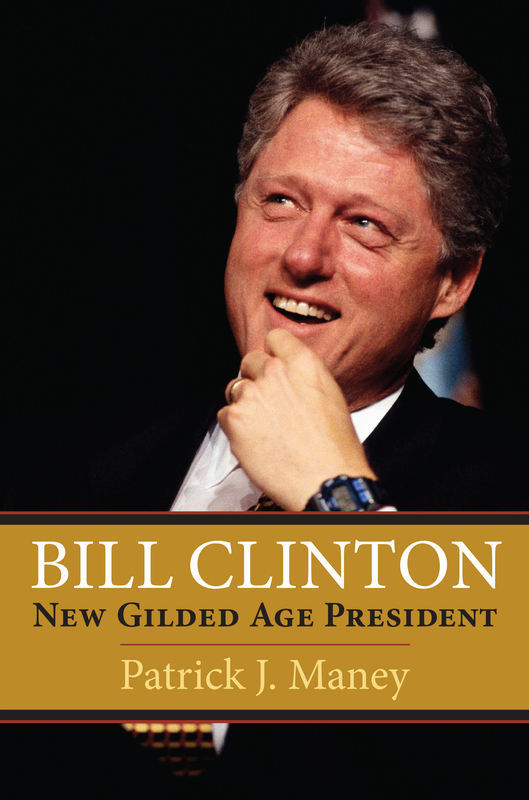 Q: What did you learn about Clinton that you did not know before you wrote this book? A: Foreign affairs loomed much larger in his administration than I had remembered. After a stumbling start, Clinton devised a plausible strategic substitute for the containment policy that had guided the United Stated throughout the Cold War. He helped resolve conflicts in Bosnia and Kosovo, of course, but also helped diffuse conflicts in Haiti, North Korea, and between India and Pakistan. More controversially, Clinton expanded the president’s war-making powers over Congress; anticipated some of the George W. Bush administration’s tactics in the post-9/11 War on Terror; and, by accusing Saddam Hussein of concealing weapons of mass destruction, helped lay the groundwork for the US invasion of Iraq in 2003. We don’t think of foreign policy when we think of the Clinton administration. We should. Q: What do you think was Clinton’s defining moment as president? A: Politically, the defining moment of the Clinton presidency came on the heals of two devastating defeats in 1994: The demise of health care reform—“Hillarycare”—and Republican rout in the midterm elections. For the first time in forty years, the GOP controlled both house of Congress. “The shape of American politics will very probably never be the same again,” said the dean of American historians, Walter Dean Burnham, adding that the GOP might be the dominant party for years, perhaps even generations. With seemingly no chance of being reelected, Clinton was reduced to telling reporters—not very convincingly—that he was still relevant. But at that very moment–with Clinton laying flat on the canvas and Newt Gingrich, the new Republican Speaker of the House, standing over him with arms raised in triumph–Clinton was plotting his comeback. And what a comeback it was. In 1996 he became the first Democrat since FDR to win a second term. For anyone interested in politics for politics sake, it doesn’t get any better than this. Q: How do you think Bill Clinton’s presidency affects Hillary’s campaign? A: It’s both help and hindrance. Hillary’s years in the White House, coupled with her career in the Senate and State Department, equipped her with a command of issues and policies rare among presidential candidates. No candidate in either party this year can match her detailed knowledge. Hillary also acquired a network of high-level advisors and policy experts that would be the envy of any presidential aspirant. A year or two ago, her experience and connections would seem to have been an unqualified plus. But no longer. We’re now in the year of the outsider. Senator Sanders’s surprisingly strong challenge has also forced Hillary to distance herself from many of the actions of her husband’s administration: the Defense of Marriage Act, deregulation of the telecommunications and banking industries, and the decision to leave unregulated the market in credit default swaps and other risky derivatives. President Clinton’s Iraqi policies are also a potential millstone. In the end, my hunch is that experience will still work to her advantage, but it’s too early to tell for certain. Q: What aspects of Bill’s presidency could Hillary use to her advantage? A: Instead of running away from the record of her husband’s administration, as Al Gore did in 2000 and as she is doing now, she might at least embrace some of the economic successes of the nineties. She might also note that despite the partisan rancor of the times, there was more bipartisan cooperation than at any time since. Q: How do you think Clinton’s presidency will be remembered? A: Bill Clinton may well be remembered less for the successes and failures of his administration than for his personal resilience. Journalist Anna Quindlen compared him to “one of those inflatable children’s toys with sand weighting the bottom. You knock him down and he pops back up.” What historian Garry Wills said of Richard Nixon is also true of Clinton: “He rose again, eerily, from each stumble or knockout, apparently unkillable. He raised undiscourageability to heroic scale.” It’s possible Hillary will be remembered in the same way.